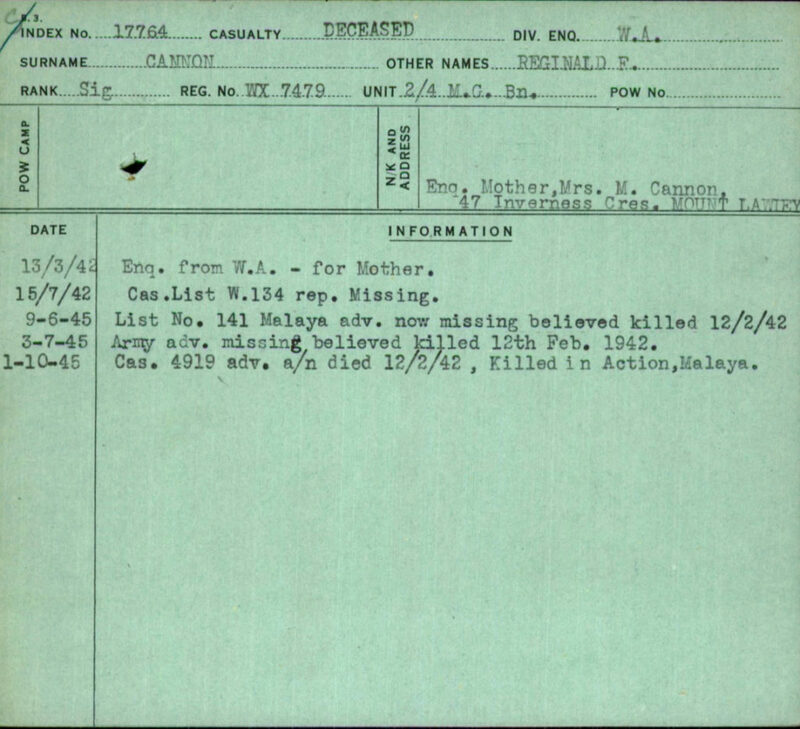 Kranji War Cemetery, Plot 1, Row A, Grave 14, Age 29. 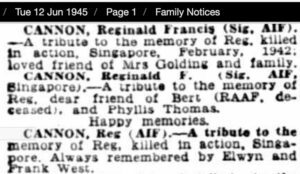 When Reginald was born Carnarvon 1912 his parents were managing the Settlers Hotel. 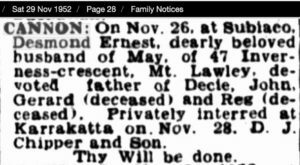 They remained for several years. 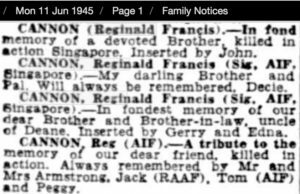 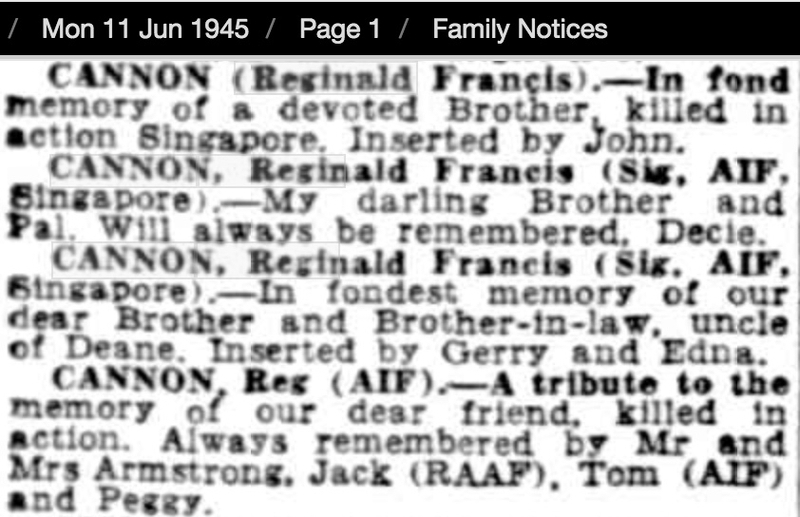 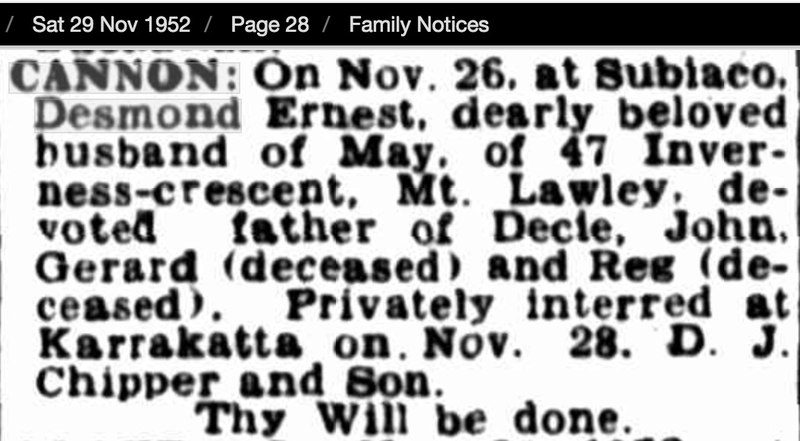 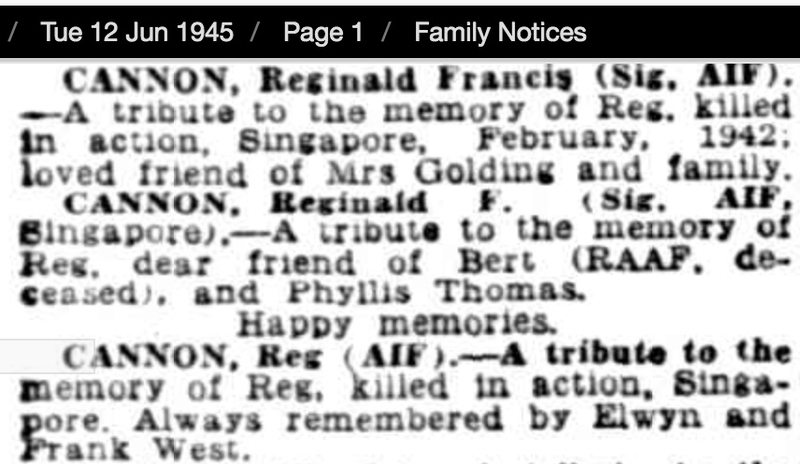 Reg’s father Desmond Cannon died in 1952.